The survey which was conducted using direct count was able to spot adult female dolphins accompanied by calf at least twice, from different parts of the river stream. According to a press release from WWF-India, these sightings helped to confirm the presence of a healthy breeding population of Indus River Dolphins in River Beas. Indus River Dolphin (Platanista gangetica minor), is a fresh water dolphin found only in the Indus River and its truibutaires in Pakistan and India. They are more abundant in stretches of the Indus River in Pakistan. 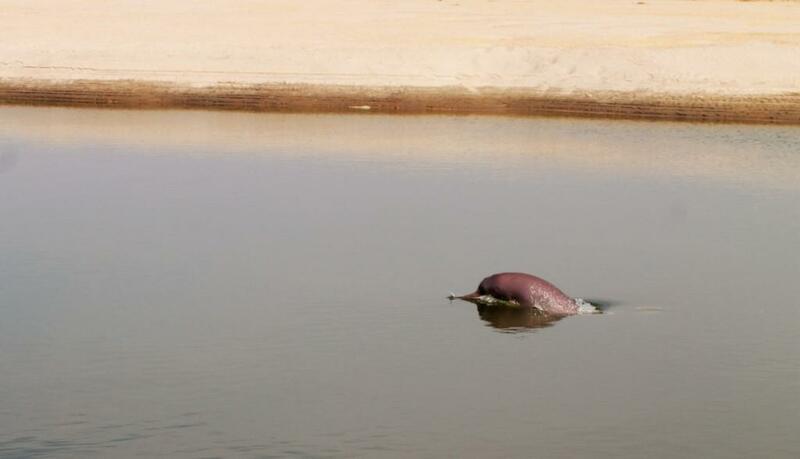 According to the estimate, the present figures indicate that the Indus River Dolphin population in River Beas does not mark any decline from the past. “Although the population of the species is small, its presence in the Beas River above the Harike barrage for 70 years indicates no decline in population of the species. The presence of a young calf is also a positive sign and indicates a population that is large enough to be viable”, said the release. The survey was conducted from 3rd May 2018 to 6th May 2018. According to WWF officials, the tandem boat survey method was used in which 12 surveyors, (8 observes and 2 data recorders) board on two boats moving in the same speed estimated the dolphin population.